When we think of shopping sales, we often think of frenetic crowds and shops opening their doors at midnight. ‘Black Friday’ is now hitting Australia in a big way – and not quite in the traditional way. Canstar Blue explains what you need to know about Black Friday and shares some of the biggest bargains available if you’re on the lookout for new household appliances, such as TVs, washing machines and refrigerators. But before we get to the bargains, here are some basic points about Black Friday in Australia. Black Friday is a shopping holiday, much like Boxing Day, held the Friday following Thanksgiving (which is always the fourth Thursday of November). While it’s an American tradition, it’s spreading across global retail markets. In 2018, Black Friday in Australia will take place on November 23. However, you should expect the Black Friday sales period to last several days around the 23rd. Black Friday might sound a bit morbid, but ‘black’ refers to being ‘in the black’ – (i.e. turning a profit). In accounting, profits are recorded as black and losses are recorded in red. For retailers, ‘Black Friday’ is an opportunity to use sales to sell more stock – particularly excess, under-performing, and discontinued or older models. Why should Australians care about Black Friday? Thanks to the increasing globalisation of shopping, international retailers operating in Australia as well as Aussie locals working to keep up with trends are offering Black Friday bargains to Australian shoppers. For us, Black Friday is a relatively recent phenomenon – still nowhere near the scale of Boxing Day and EOFY. However, it certainly shouldn’t be overlooked as it presents a great opportunity to snag a really good deal if you look in the right places. What to look out for this Black Friday? Of course, there’s no real telling what will be discounted and by how much until retailers begin to release their Black Friday sale catalogues and pricing. With big sale events, the best bargains can sell out quite quickly so doing your research ahead can prepare you to move quickly to stay ahead of the shopping crowd. Here is a selection of bargains we’ve found on Appliances Online. These are not necessarily Black Friday sales per se, but deals that happen to be available at the time of writing. 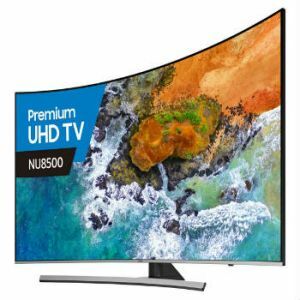 Curved TVs like this one (UA55NU8500) from Samsung can make your TV and movie experience feel more immersive, as the image draws you in. As the curve follows the natural shape of your eyes, detail on the edges tends to appear clearer compared to flat screens. The smart TV is Wi-Fi capable and Netflix compatible, plus supports two USB ports so you can play files direct from USB sticks and hard drives. It also has a 4.5 star energy efficiency rating, using 291 kWh/year. It was released in 2018 and is already on sale at Appliances Online for a massive 39% off RRP – $2,299 down to $1,405 at the time of writing. This 55inch TV (OLED55C8PTA) from LG is loaded with high tech specs and features. Expect a customisable interface that’s smart device compatible and can be activated using motion control via the included Magic Remote or by voice command, using LG’s ThinQ voice-recognition system. 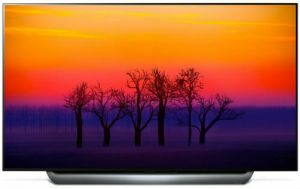 It’s also boasting an Alpha 9x processor, which is designed to increase colour volume and accuracy, smooth out motion and reduce image grain, according to LG. It’s rated 4 stars for energy efficiency and can add around $134 to the energy bill each year (based on 33c/kWh). It’s a 2018 model with a retail price tag of $3,299 but can be had for less than that this Black Friday. 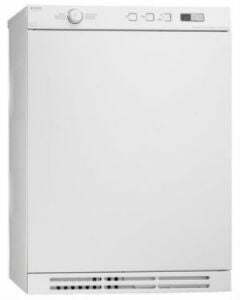 For a fresh start to the family fridge, a crisp new Kelvinator like this one (KBM5302WA) gets the job done without venturing into the extra features and functions that can make a price tag skyrocket. The glass shelves are strong, resilient and tend to look far better after years of use than plastic shelves found in cheaper models. Adjustable FlexStor door bins plus a full width crisper keeps everything securely in place, while the separate electronic temperature controls for the fridge and freezer sections allow you to adjust to the ideal storage conditions. LED lights inside and integrated pocket handles on the outside make for a simple, clean look and a respectable 3.5 star energy rating will keep your energy bill under control – as long as one of the kids doesn’t leave the fridge door open all day. 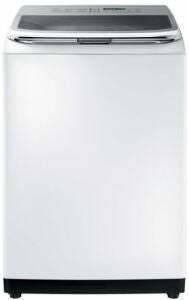 At the time of writing, the Kelvinator 528L Bottom Mount Refrigerator (white) is discounted from $1,549 to just $937. If a top mount design is what you’re after, Sharp might be one to consider. Expect some sharp features such as its Plasmacluster Ion technology, a hybrid cooling system and an AG CU nano deodoriser. Its electronic controls make it simple to set and maintain the fridge temperature, plus the full cavity is stated to be frost-free and illuminated with LED lighting, making it easy to spot any spills on the tempered glass shelving. There are a number of compartments to keep your items organised including two fruit and veg drawers, plus two twist ice tray storage boxes. Similar to Kelvinator’s model above, this bad boy has a 3.5 star energy rating. Its retail price tag is $2,099 but you can find it for under $1,000, making it a ‘bang for buck’ as far as mid-sized fridges go. If you need a new washing machine, now could be the time. For a limited time, you can pick up a Fisher & Paykel 8.5kg Front loader washing machine (WH8560P2) for less than a thousand dollars. This front loader has 13 wash programs, including fast wash, bulky and allergy sensitive. It has a super fast 1400 rpm spin and, unlike many other front loaders, you can add items after it’s started running. This front loader excels in functionality, with a huge wash capacity, SmartTouch control dial, variable spin speed and a wrinkle-free option. It also has SmartDrive technology to reduce noise and vibration. But even with all this functionality and power, F&P 8.5kg front loader manages an impressive 4 star energy rating and 4.5 star water rating. Currently, Appliances Online has the price knocked down from $1,249 down to $859. 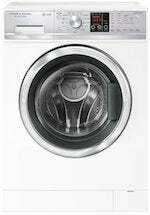 While top load washing machines might have been phased out with some brands, Samsung still sees merit to them, designing its top loaders with extra large capacities and some pretty advanced features. Expect Samsung’s Smart Check error-monitoring system, that detects and diagnoses certain problems and tells you how to fix them via a smartphone. 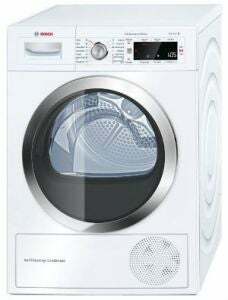 In addition, this 13kg model (WA13M8700GW) also features 12 wash programs, an 800 rpm spin speed and an inverter motor. Other design elements include an intuitive mid-control touch panel, a built-in pre-treatment sink and vibration reduction technology to help reduce noise, so it doesn’t sound like you have a helicopter lifting off in your laundry room. In terms of energy and water efficiency ratings, it rates 3 and 4 stars respectively. It retails for $1,799 but can be found for just over $1,000. Heat pump dryers are generally the most energy efficient on the market as far as dryers go and this 7kg heat pump dryer from Asko is pretty efficient in performance with a 6 star energy efficiency rating. It has a minimalistic Scandinavian design and features a delay start system that allows you to plan your drying cycle 24 hours in advance. In addition, it’s equipped with Asko’s ‘SensiDry’ system, which is stated to sense the time required for drying your load and stop the cycle when it’s ready, to help save time and energy. There are 6 drying cycles to choose with a noise level of 66 decibels. It has a recommended retail price tag of $2,199 but can be had for as little as $979, which is a massive 55% off. This 9kg heat pump dryer (WTW87565AU) from Bosh goes into the ‘Super Efficient’ category with a 7 star energy efficiency rating. It’s ideal for a family of 4 or more, featuring 14 drying cycles with a noise level of 64 decibels. Some of its key features include sensor drying that monitors the temperature and moisture of your load to ensure it doesn’t overdry, a self-cleaning condenser and anti-vibration side walls. It’s also designed with an LED drum interior light and a 170° opening door angle for easy access. 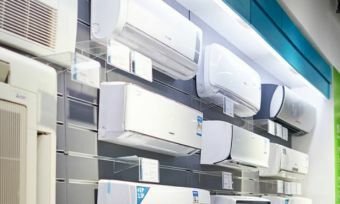 Its ActiveAir technology is stated to save energy by reusing hot air throughout the cycle and in turn, expect it to add just $52 to the electricity bill per year (based on 33 c/kWh). At the time of writing this 9kg dryer has a sale price of $1,627, which is 38% off the RRP ($2,629). 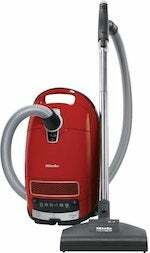 Miele vacuums offer a good quality clean but at the higher end of the price range. Sales can be a good excuse to splurge! As the name suggests, this model is particularly suitable for pet owners. The anti-odour filter gets rid of that pet smell, while the included turbo brush and mini turbo brush floorheads efficiently remove hair and lint. There’s plenty of capacity for all of that hair shed by Fido or Fluffy in this traditional barrel vacuum with modern usability features. Appliances Online is currently offering the Miele C3 Complete Cat & Dog PowerLine Vacuum Cleaner for $689, down from $749 (RRP). The latest craze in vacuums is handsticks, designed with user-friendliness in mind. The LG A9 comes with a dual power pack both of which provide 25.55V capacity. In normal mode without the power drive nozzle, it’s stated to run for up to 40 minutes per battery and up to 30 minutes with the power drive nozzle. It comes with a number of accessories such as a combination tool, crevice tool and bedding nozzle. The total weight of this vacuum is 2.7kg, making it light and easy to use around the home. This LG A9 model is certainly one that you might like to snag a bargain on unless you have $1,000 to spend on a vacuum. This LG A9 model has a retail price tag of $999 but was found for $689 at the time of writing. 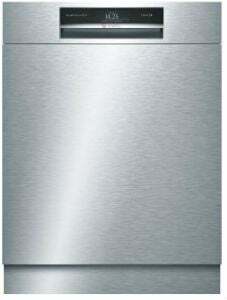 With a generous 14 place setting capacity, this Smeg dishwasher (DWA6214S) can handle a big cook. It features 5 washing programs including soak, normal eco, intensive 65°C, and Ultraclean. It’s also equipped with an orbital wash system that’s unique to Smeg and a delay timer, so you can make use of off-peak electricity times. The machine is stated to have a wash blade at the base that rotates while spinning to ensure even water spread and coverage. The Italian brand is generally seen as a premium brand of home appliances, so you can expect prices that reflect this. However, you can find some hefty bargains if you keep an eye out. At the time of writing this model had a sale price of $939, which is 39% off the RRP ($1,550). German brand Bosh is another manufacturer of high-end technology. 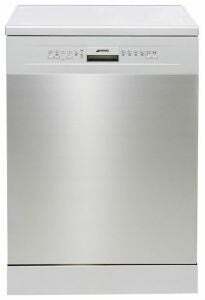 Its Serie 8 under bench dishwasher (SMU88TS04A) is designed with premium features including load sensing technology, a time delay start option up to 24 hours and an ultra-quiet operation boasting a low of 44 decibels when working. Additional features include a heat exchanger that recycles heat from the main wash cycle for the rinse and dry cycle to save energy, according to Bosch. It has 15 place settings and boasts a 4 star energy efficiency rating and a 5 star water efficiency rating. It has a $2,199 RRP but you can find it for less during a sale for around $1,480. LG has got something on sale in almost every category, with air conditioners no exception. Its 7kW reverse cycle split system also offers 8kW of heating capacity. Expect a standby mode to help minimise consumption when the air con is not in use, 4-way airflow and a fresh air filtration with three filters. It also boasts LG’s Plasmaster Ioniser technology and Wi-Fi smart capabilities, allowing you to operate the air con via your smartphone. In terms of energy efficiency ratings, it has 2.5 stars for cooling and 3 stars for heating. LG’s 7kW model can be found for less than $2,000 despite it being retailed for $2,459. This large 9.4kW model (ASTG34KMTA) from Fujitsu can cover a large lounge room or open plan area. It’s equipped with a human sensor stated to detect whenever someone enters or leaves a room and adjust performance accordingly. Another feature is its Sleep mode, designed to change temperature gradually over time, plus it’s stated to help prevent the air con from overcooling your bedroom while you sleep. While it has a 2 star energy efficiency rating and 2.5 stars for heating, it does come equipped with an Economy mode to help save on energy bills. It can be found for almost half its RRP ($4,789) at around $2,540, so it may be worth considering if you have a large area to cool. Are you ready to hit the Black Friday sales? Black Friday deals don’t end with appliances – Kogan is also cutting prices on gadgets, televisions, headphones, and much, much more. Plus, Black Friday means you can save hundreds on Dyson fans, vacuum cleaners, Miele dishwashers, and assorted appliances if you know where to shop.